Nineteenth century Russian novelist Fyodor Mikhailovich Dostoevsky was one of those rare authors who enjoyed a living success and the validation of his peers. Even so, this success, however brilliant, was limited to his work in letters. His personal life, fraught with difficulties, darkness, and doubts, offered him ample material for his artistic endeavors. Prone to introspection, family problems and health issues fueled metaphysical doubts in Fyodor at a relatively early age. His father's death, purportedly at the hands of his serfs, and the resulting epilepsy that this event triggered in the author plunged him into shadows. Although he completed an engineering education in a military school, he preferred philosophy and composition, resigning his post of 2nd lieutenant to pursue a writing career. He fell in with some other intellectuals, socialist revolutionaries known as the Petrashevsky Circle, which association earned him a five-year stint in Omsk, a penal colony in Siberia. Upon his release in 1854, he began a literary journal with his brother and penned fiction in order to support his family. Although he married Maria Dmitrievna Isaev, he kept a mistress, Polina Suslova, who was a known hedonist. The two were well matched in their pursuit of material pleasures; Dostoevsky struggled with a gambling addiction most of his adult life. When his wife and brother both died unexpectedly, Fyodor was taxed with supporting both families on an artist’s salary. Accounts suggest that he produced his finest works of literature during this time under the duress of driving financial obligations. Letters From the Underground (1864), Crime and Punishment (1866), The Gambler (1867), The Idiot (1868-69), The Eternal Husband (1870), and The Possessed (1871) were all published within a period of only seven years. In 1876, he began a project that he planned in several volumes, the finished portion of which he published as The Brothers Karamazov. This novel, together with his Crime and Punishment, are considered by many two of the finest examples of psychological fiction ever written. In these, Dostoevsky poses questions regarding the existence of God, the problem of pain and suffering, and the source of ethics – issues that perplexed him throughout his lifetime. Highly influenced by the growing existentialist philosophers of his day, Dostoevsky created characters who, like himself, suffer from contradictions between their self-awareness, which suggests some sort of metaphysical reality, and their experience with a seemingly meaningless material world. 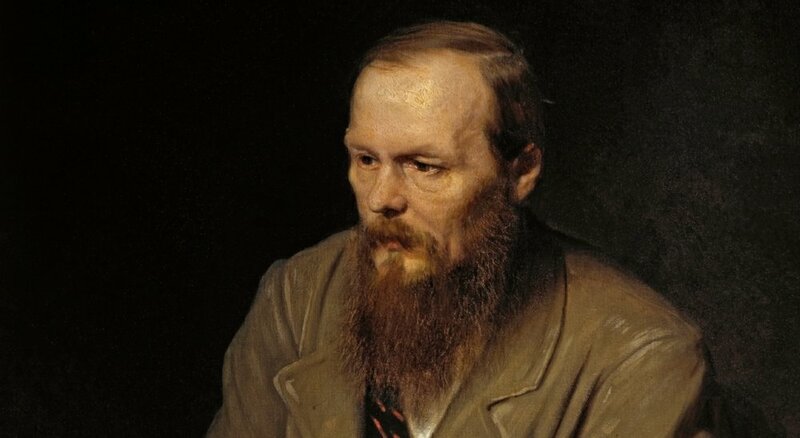 In fact, some contend that The Brothers Karamazov is in fact the story of an existentialist crisis, that critical moment in an individual’s life which forces him to consider the eternal things, thereby making Dostoevsky the first of the existentialist novelists. The prison camp novel and the dystopian novel are likewise attributed to his work. Perhaps the greatest recommendation of Dostoevsky’s work is his simultaneous honesty regarding his spiritual doubts and the profundity of his Christian faith. Both his own life and the lives of the characters he created embody the advice of his character, Father Zosima, a wise religious elder in The Brothers Karamazov, who, speaking to Alyosha, a young acolyte who will face his own dark night of the soul, intones: “This is my last message to you: in sorrow, seek happiness.” Dostoevsky's novels, dark as they be, demonstrate the reality and fruitfulness of this perplexing struggle.